Without the proper static control epoxy flooring and coatings, a facility that handles active electronic equipment and components or volatile gases, powders, liquids and other substances may be highly sensitive to electro-static discharge (ESD) related disasters. 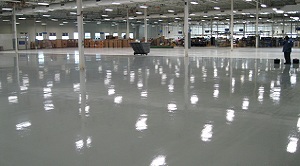 Typical resin coatings for commercial and industrial concrete floors can create an environment where regular ESD activity becomes high-risk, but the special composition of Florock’s static control flooring provides safe dissipation of electro-static charges. Even in a location where a well-planned facility-wide ESD program is in place, and where personnel is equipped with the proper clothing, shoes and tools for handling static-sensitive devices and materials, static electricity can still be generated. Contact, separation or movement of equipment, materials and even people in the room can trigger sparks and electro-static discharge—especially when the improper insulating floor coverings are used. These and other industries regularly rely on the increased safety provided by Florock static control flooring and coatings. In order to satisfy the full range of electro-static discharge needs found in the majority of sensitive facilities, our product line includes both ESD and conductive industrial concrete flooring. These state-of-the-art resinous floor systems are designed and manufactured to demonstrate consistent ESD and conductive properties over time, in accordance with ESD Association guidelines. However, our selection of high performance flooring and coatings offers much more than typical ESD tile or carpet. When utilizing one of our static control epoxy flooring or coating systems, you get a seamless, hygienic surface that is easily cleaned and decontaminated. These finishes are hard-wearing and highly chemical, solvent and stain resistant. We even customize and install slip-resistance in accordance with your needs and approval, and you won’t need waxing or special cleaners to maintain the floor’s ESD or conductive performance over time.Well-selected and properly specified, our solvent-free facility flooring helps to safely and consistently remove static discharge from the room, maximizing protection to help keep employees, visitors and sensitive equipment safe, while complying with stringent industry standards. Certainly, few other electro-static dissipative floor coverings can offer these impressive high performance features, as well as provide a beautiful, long-lasting finish with such excellent low lifecycle costs. There’s just no substitute for Florock value. In addition to static control flooring, we offer a wide variety of other floor covering options for many different applications. Choose from a broad spectrum of products designed to support the life and function of your concrete floor slabsfor many years, while keeping custodial costs to a minimumand facility appearance at an all-time high. Increasing your flooring protection and aesthetics can help your personnel and your business thrive.